Located beyond the hustle of financial districts and aging Kowloon is a park filled with adorable characters from Peanuts. 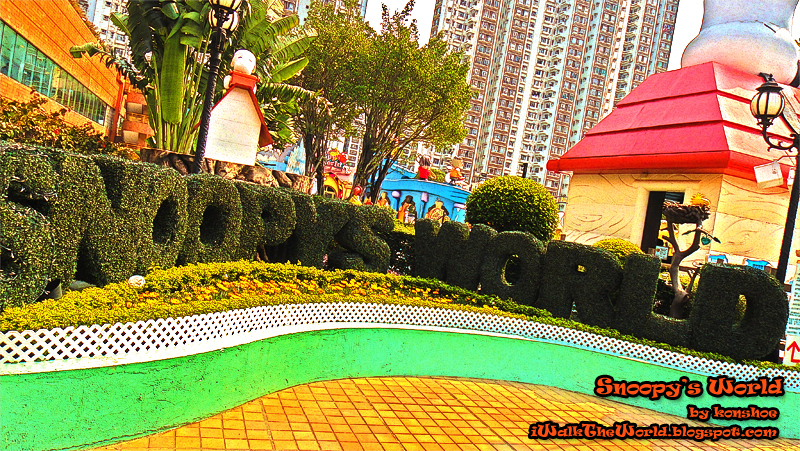 Welcome to Snoopy's World, where Chralie Brown and co. awaits in every corner of the playground situated on New Town Plaza's 3rd floor open plaza! Surprised that few of my friends who visited Hong Kong knew of its existence, I decided to skip other more notable locations in favor of this park. The open playground is spacious enough to accommodate an army of families and running kids, with a few smaller sections dedicated to different ways of interacting with the gang from Peanuts. 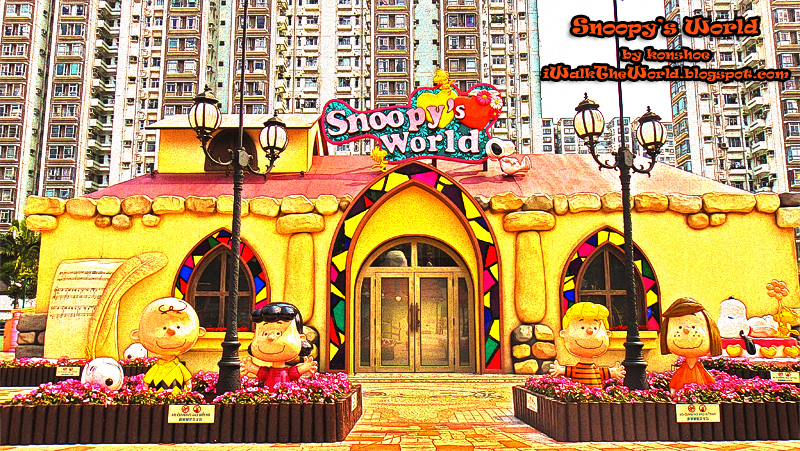 Welcome to Snoopy's World, a paradise where the famed canine and the Peanuts gang awaits! The Peanuts gang are situated everywhere to greet eager visitors. 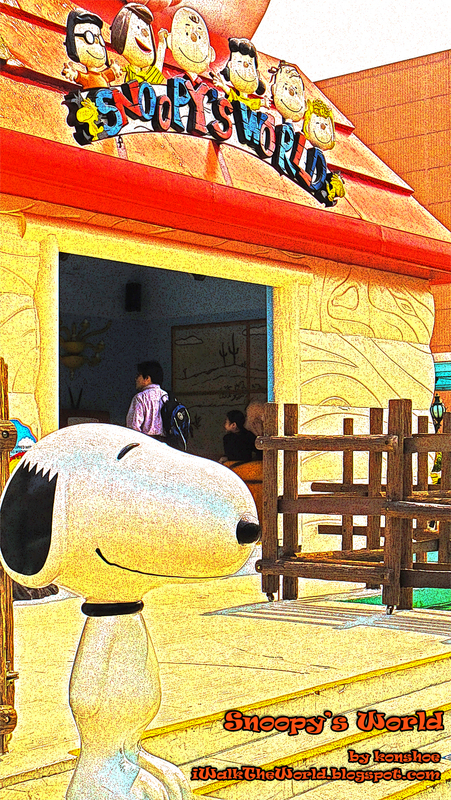 The entrance from New Town Plaza's direction brings visitors through Snoopy's wooden doghouse, which Snoopy daydreaming as usual in the company of Woodstock, its avian friend. 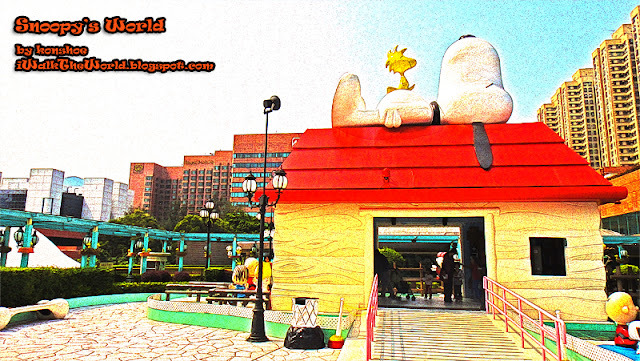 Snoopy's World of Sha Tin was opened back in Sept 2000, coinciding with the passing away of Charles M. Schulz (November 26, 1922 – February 12, 2000), the great artist who had been drawing the popular Peanuts comic strips for nearly 50 years. To work? To school? 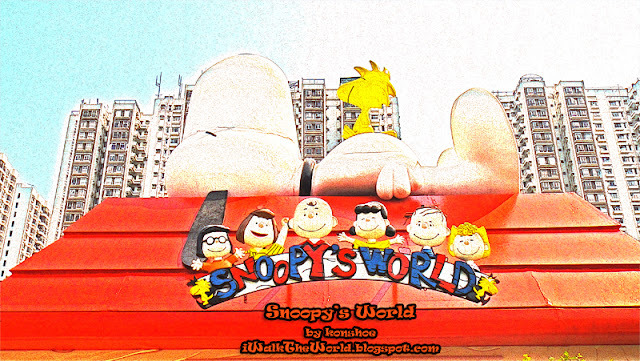 No matter, Snoopy is dressed for it! Despite the fact that Snoopy's World is located on an open plaza, the surrounding high rise visible on the backdrop reminded me how different the notion of "open" is in Hong Kong compared to the relatively spacious Malaysian parks. Adorable Snoopy standing in attention, beckoning visitors to enter the playground in anticipation for more visages of the famous beagle. I was initially worried that the place was hidden in a secluded corner. Upon entering the courtyard from New Town Plaza, the area was immediately recognizable with statues and decorations with Snoopy's image scattered all around along with the Peanuts gang. 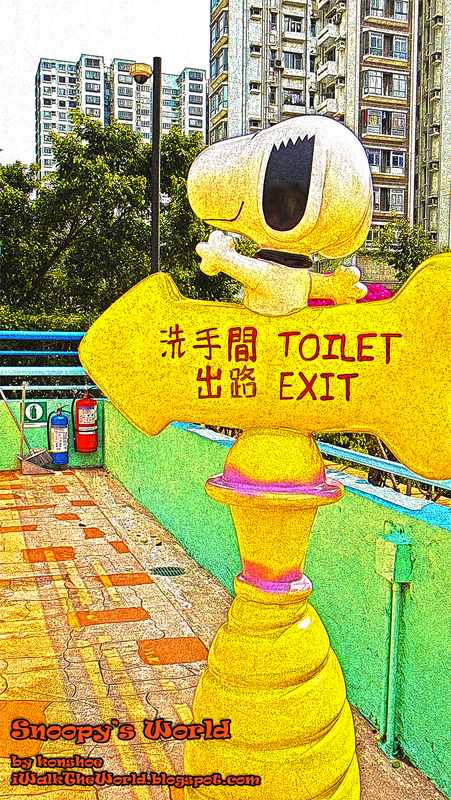 What's more adorable than Snoopy telling you the way to Toilet (and Exit...)? Suitable for: Kids love it here, as well as families spending an evening here. The playground also caters for wedding ceremonies. Opening Hours: Daily 10.00a.m. - 10.00p.m. Address: Snoopy's World, L3 podium, New Town Plaza, Shatin. Getting there: Take the MTR to Sha Tin station and enter Citylink Plaza, which the station exits into. 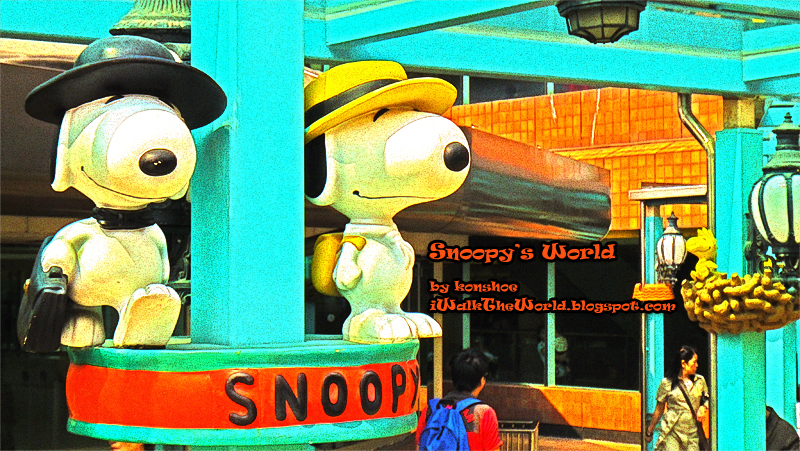 Snoopy's World is located in New Town Plaza just right across the plaza on the other end from the station's exit.